hd00:13ISTANBUL, TURKEY - DECEMBER 08: people on Galata Bridge on December 08, 2012 in Istanbul, Turkey. 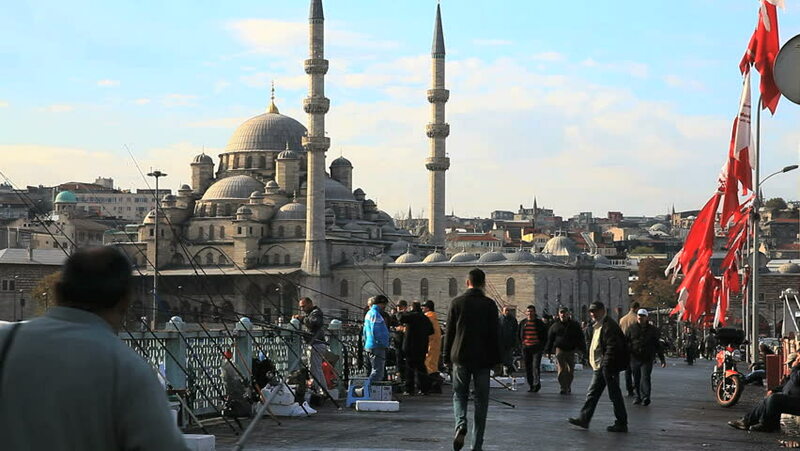 Galata Bridge is one of the famous entertainment place in Istanbul. 4k00:13December 2015 Istanbul Turkiye, Eminonu Yeni Mosque in Istanbul. 4k00:13Istanbul Turkiye, 2015 December. Eminonu Yeni Mosque. hd00:10Kedah,Malaysia - 10-07-2018 : The time lapse infront Zahir Mosque,Kedah,Malaysia. hd00:18Berlin, Germany - april.2017. Shooting in motion. Berlin TV Tower. Big cathedral. Street, road, cars. Blue sky. 4k00:16PRAGUE, CZECH REPUBLIC -NOV 4, 2015: Unidentified tourists on Charles Bridge (Karluv Most) in late afternoon, a famous historic bridge that crosses the Vltava river in Prague (Praha), Czech Republic. hd00:30ISTANBUL, TURKEY, May 23rd 2018: A passenger ferry sails across the frame from Eminonu port with the Golden Horn and Suleymaniye Mosque in the background at dusk.